Strife has raged about Karl Marx for decades, and never had it been so embittered as at the time of this book’s first publication, 1936. Marx had impressed his image on the time as not other had done. To some he was – and still is – a fiend, the arch-enemy of human civilisation, and the prince of chaos, while to others he is a far-seeing and beloved leader, guiding the human race towards a brighter future. The arena in which Marx was fought about in 1936 was in the factories, in the parliaments and at the barricades. In both camps, the bourgeois and the socialist, Marx was first of all, if not exclusively, the revolutionary. 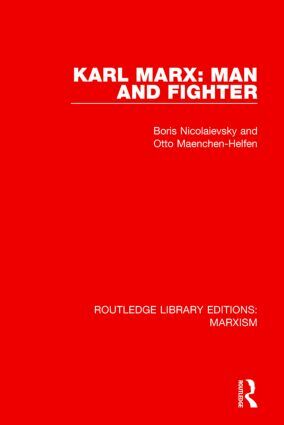 This book sets out to describe the life of Marx the fighter.